If you were unable to watch YouTube videos on Tuesday night, you’re not the only one. The world’s biggest video site went down for about an hour and a half in an outage that also affected YouTube TV and YouTube music. The outage started shortly after 6:00 p.m. PT Tuesday but appeared to be fully resolved by around 7:35 p.m.
YouTube confirmed the site was fixed at 8:00 p.m. PT. 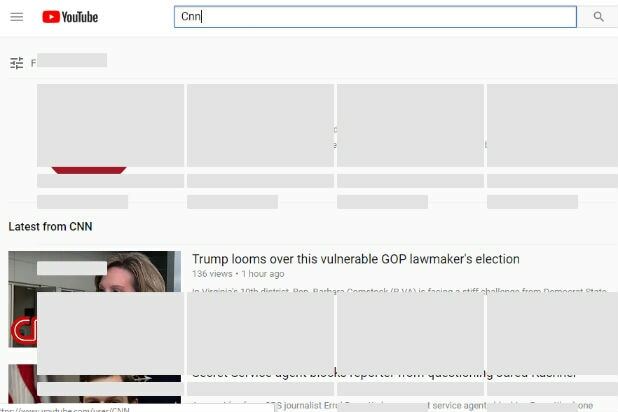 During the outage, some YouTube users were met by a search bar and an otherwise blank screen on the site’s homepage, though some also saw a distorted image promoting YouTube Music. Many users also reported errors ranging from blank screens to “invalid response” and 500 internal server error messages. Of course, many more users did what people do in times of crisis — meme the hell out of it. YouTube, which launched in 2005, has rarely experienced widespread outages, though YouTube TV did go offline briefly during the World Cup earlier this year. “Modern Family” (2012) — Jackson Odell appeared in this Season 15 episode of the ABC sitcom, playing a kid who bullies Manny, after taking credit for a poem Manny wrote for a girl they both had a crush on. You can see Odell started at the 17 minute mark. “Losing My Mind” — Odell performs an original song with Camryn Magness in 2011. “Dreaming With a Broken Heart” — A 14-year-old Odell covers a John Mayer ballad. “Thrift Shop” — Odell and Michael “Fish” Herring add a little “bluesy” sound to Mackelmore’s track. “Great Balls of Fire” — A six-year-old Odell impressively plays Jerry Lee Lewis’ song on the piano, rocking what he called “Justin Bieber” hair.